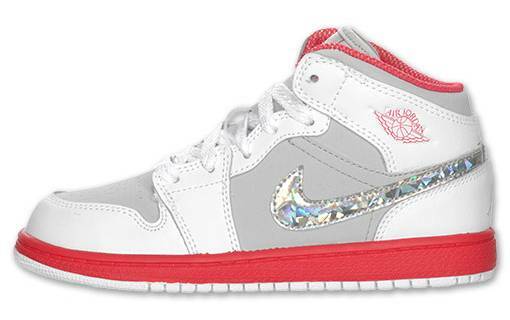 A second "Diamond Swoosh" colorway of the Air Jordan 1 Phat has started to surface at online retailers. 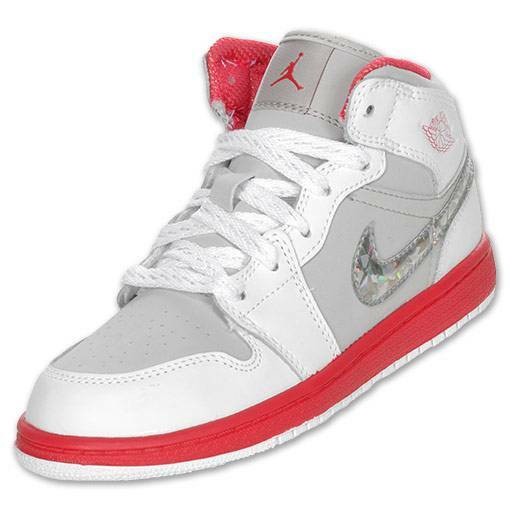 A second "Diamond Swoosh" colorway of the Air Jordan 1 Phat has started to surface at online retailers. Following the pair we showed you earlier this week, this pair features a silver-based upper with white leather overlays wrapped around the heel, toebox, along the forefoot and eyestay. Red works the inner liner, Jumpman branding, Wings logo and midsole, while white rubber takes care of the outsole below. Like the White/Bright Turquoise colorway, diamond-like Swoosh logos adorn each side panel. Retailing for $57, you can stop by Finishline to pick up this pair for your youngster today.